The ITTP has received support from His Royal Highness Prince Charles, many broadcast organisations, including BT Sport, Sky, and ITV, and also many of the major broadcast manufacturers and partners such as Sony, Blackmagic, Soho Editors, Cirrolite, Avid, Ross Video and Vitec. Several other major industry employers such as NEP Visions, CTV Broadcasts, and Arena TV are also supporting us. All of these broadcasters, manufacturers and employers have also supported three very successful conferences that we have run at Pinewood Studios. The common threads throughout our discussions and the three annual ITTP Conferences have been the issues of poor training provision and a lack of common skills standards. We decided that a possible solution was to set out a basic set of expected skills, and define a suitable scheme for individual testing/assessment. This led to the development of the ITTP Approved Skills Scheme. 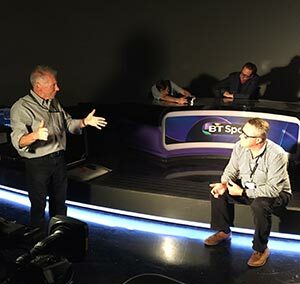 Whereas training within the broadcast industry used to be centred on an extensive and thorough provision delivered by the major broadcast organisations, in the last ten to fifteen years there have been drastic changes in training provision for the broadcast industry. There are in excess of 70 training organisations and educational establishments providing courses that include TV production techniques and operations. The courses are of varying quality. In some cases the teaching staff have had no professional TV, film or broadcast experience. This fragmentation of training reflects the trend set by the broadcasting industry itself. There was a time when only the BBC and some ITV companies undertook to give school leavers grounding in production and operational techniques both through theoretical courses and practical training. Only those with satisfactory results were confirmed in employment and operational managers knew the standard that they had reached. There are already industry related means by which courses can be assessed and accredited; for example, Skillset Approval and BKSTS/IMIS Accreditation. These schemes are designed to ensure that a course meets industry requirements in terms of its design and delivery, through assessing the content, and the physical and human resources devoted to the courses. However, they do not assess the suitability of individual students to work in the industry at the end of their course. The ITTP Approved Skills scheme is designed specifically to fill this gap. The ITTP Approved Skills scheme defines a set of skills standards needed by those entering the broadcasting industry. These standards have been agreed by industry organisations and the craft guilds, and will inform the design of educational and training courses. Having defined skills standards, the next task is to design the testing/assessment regime that training organisations and educational establishments must adopt if they wish to advertise their courses as conforming to the ITTP Approved Skills standards. Once underway, we believe that our Approved Skills scheme will have a range of benefits for employers, as well as benefitting those entering our industry as the result of attending a university course, and also those designing and delivering such courses. The scheme will enable employers to recruit new staff with a known level of expertise. This will reduce the risk of incurring costs associated with employing staff who turn out to be unsuitable. The scheme will give confidence in selecting freelance staff knowing that they have been properly trained, thereby reducing the likelihood of employing an incompetent operator, and so protecting the employer’s reputation. We have registered the ITTP as a non-profit making organisation but need more people to now help us achieve our goals. If you are a very experienced TV production personal or trainer and feel you would like to help build upon what the ITTP has already started then please do get in touch and join us, with your help and more financial support from industry the success of the ITTP can only grow.